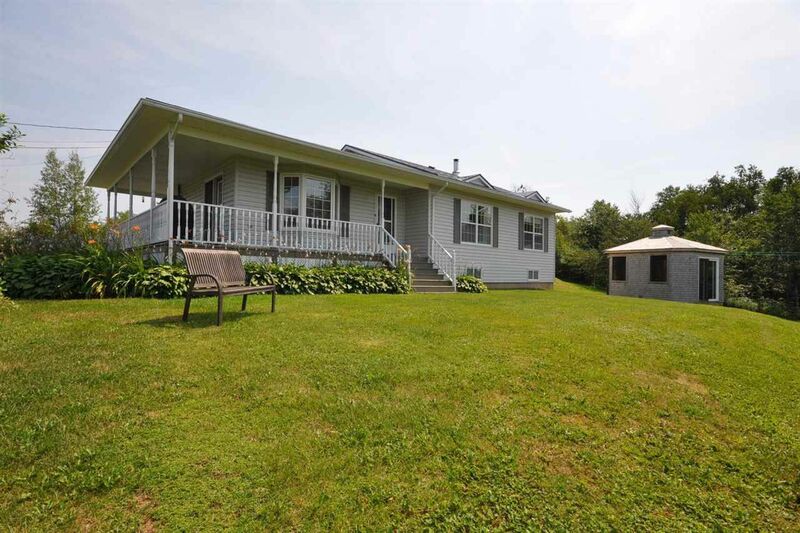 This updated bungalow sits on almost 3 acres of land offering lots of privacy and a detached double garage. The main level features open concept kitchen and dining area with just about everything brand new including countertop, hardware, sink, tumbled marble back splash and so much more. Custom posts separate the kitchen area from the bright living room and the 3 spacious bedrooms and fully renovated 5 pc bath. All closets have custom organizers for the best use of space. The lower level has family room with wood stove, new 3 pc bath with custom shower, bedroom with walk in closet, office and gym. You will love the cedar hot tub room offering stunning views of the valley below. This home is move in condition with just too many features to list. Call for a full list of updates. Note window in bedroom in basement does not meet egress.